Surveillance rig in Nanjemoy? UPDATE Feb 26, 2015 ! 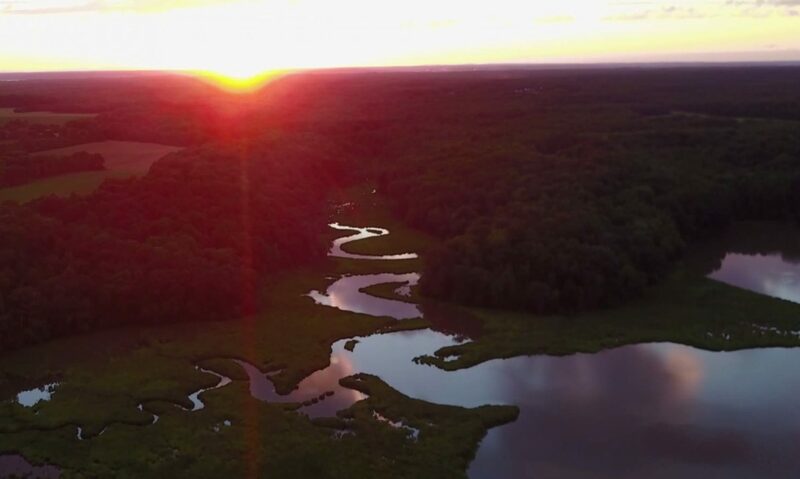 I am writing in response to your inquiry about the Maryland State Highway Administration (SHA) RWIS location on MD-344 at MD-224 in Charles County. 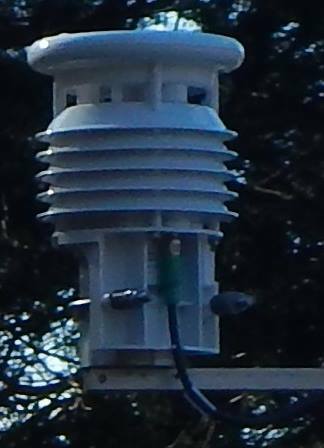 This new weather station is not yet functional due to utility power issues, but once it is live, the weather sensor data and camera images will be available through our SHA “CHART on the web” internet page. 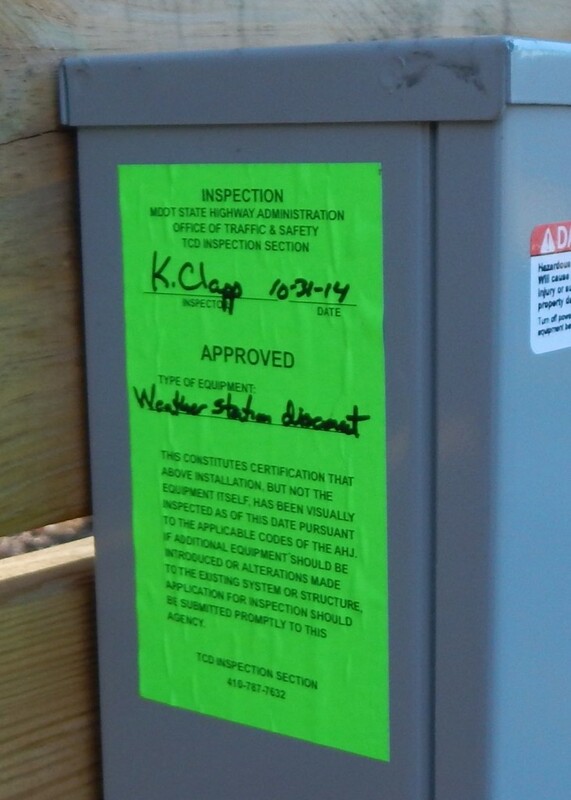 SMECO has advised that they hope to have the utility issue resolved in the next few weeks. 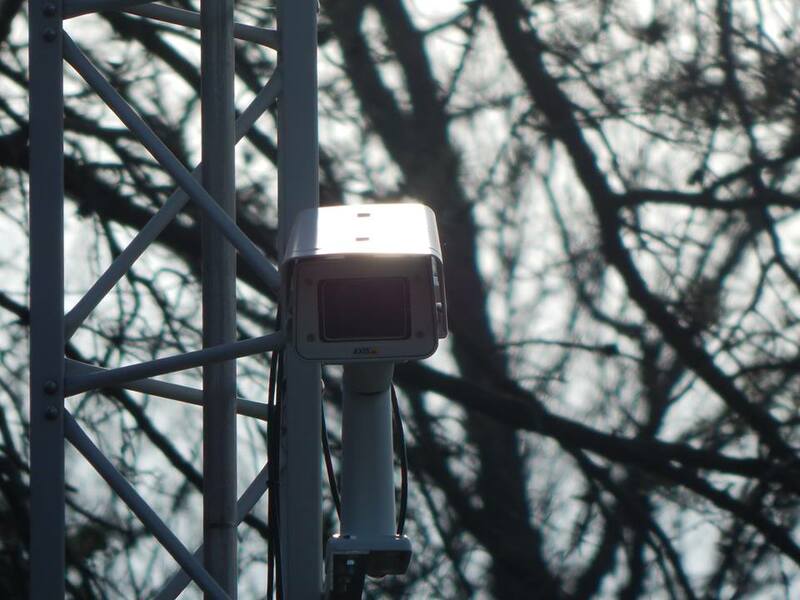 Eventually, the camera image will be live streaming video similar to what our other traffic cameras provide on the CHART website. 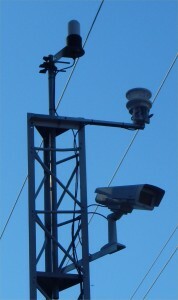 I have included a link to the CHART camera webpage http://www.chart.state.md.us/travinfo/trafficcams.php and if you choose one of the weather station cameras at the bottom of this webpage, you will see the type of image that will be displayed on our public website once the site is live. These images are not recorded on a regular basis and they are not tied in any way to LPR technology/systems. The images are for situational awareness of the current traffic/weather conditions. 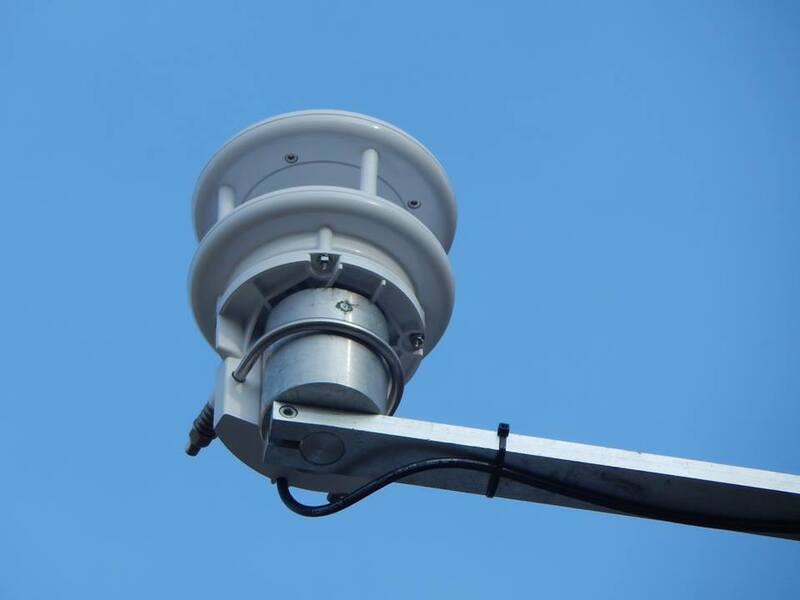 The RWIS system itself contains sensors that capture weather information such as wind speed, wind direction, precipitation type, air temperature, road temperature, sub-road temperature, visibility, water film height, water film salinity concentration and road conditions. The sensory data from RWIS systems is displayed on the CHART website at the following link http://www.chart.state.md.us/travInfo/weatherStationData.asp. The RWIS system manufacturer is Lufft (http://lufft.com/en/company/app-overview/) and their software is proprietary. 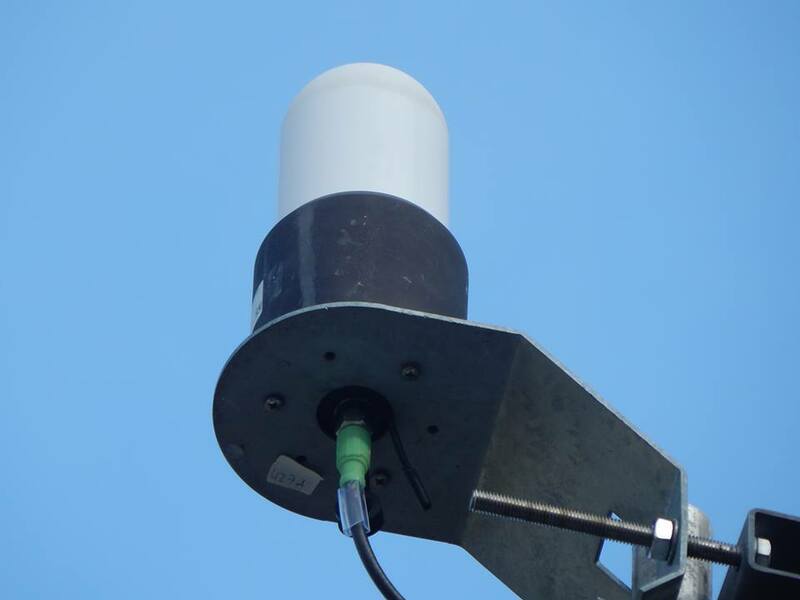 I do not believe there is a set retention period for the weather sensor data, but I will do some additional research to verify if one has been established and I will let you know if it exists. Many of these Lufft RWIS sites are only a couple of years old and I do know that there is data available on some of them that dates back to June 2013 or earlier when they were first commissioned. Please feel free to contact me directly should you have any additional questions or concerns. Email and/or my cell phone are the best conduits to reach me, as I am in the field quite frequently. Located @ Riverside Road (224) and Chicamuxen (344). It says it is a weather station, with a CCTV Camera? – Any Info would be appreciated. Post to tips@nanjemoy.net. We have inquired with the County for an explanation of its intended use. I doubt anyone would have a problem with a weather station, but why is it at that corner and not back in the woods on the hundreds of acres the State controls? – and why the camera? Is this a temporary traffic monitor thing for stats, or a permanent uninvited guest in Nanjemoy? We need details to the Citizens. This might not be a big deal in Waldorf, but here it is quite different. Just Sayin. Can someone at @MDSHA explain why we have a “live streaming traffic cam” in @Nanjemoy at Riverside Road / 224 and Chicamuxen / 344 ?!? TRAFFIC – Is that a joke?!? Pavement conditions might, might be an argument, and if so, POINT that camera directly down on the Pavement, NOT at the intersection where an ALPR could be storing data on citizens movements. UNSAT. Previous PostPrevious Ag Board recommends Nanjemoy keep the AC Zone – but NOT in PPA! Next PostNext County Comprehensive Plan TERMINATES the AC Zone in Nanjemoy?